While she was here I threw her up on Connor for a pony ride. Despite having the same genetics and upbringing, she'll be the first to tell you she didn't inherit the horse gene from our mom like I did. But all things considered, she was a good sport. We walked, trotted, and did a little in-hand leg yield and shoulder-in. 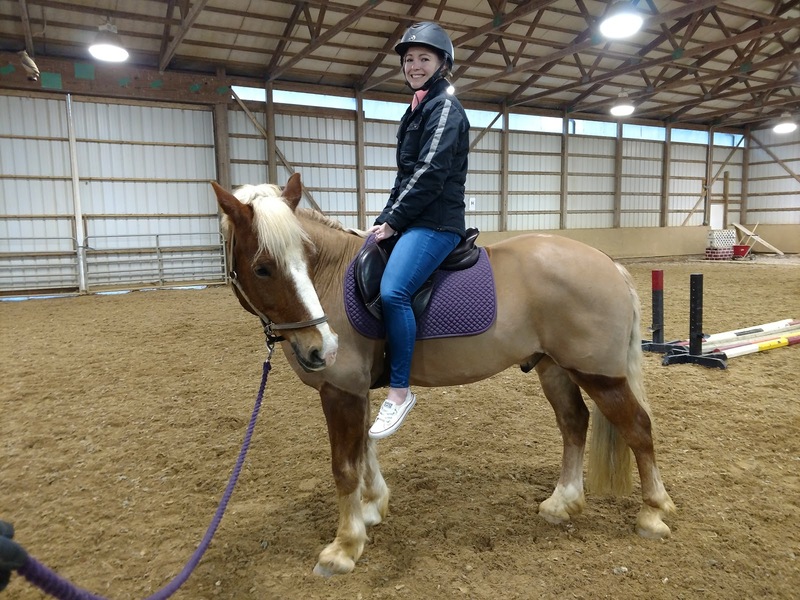 Connor took great care of her, but true to his nervous nature had the hairy eyeball almost the entire ride. I'm guessing this is something we could desensitize a bit, but also it's just who he is to be happier with a confident rider and predictable situations. Also my "little" sister is like six inches taller than me! Gav gives pony rides with some frequency. 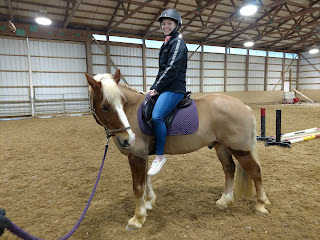 He's super calm and will basically just stand or follow me around the arena, but he knows when a non-rider is up on his back and he takes full advantage by just not listening to anything they ask of him. It's so interesting that Connor and Gav are so similar in some areas and so different in others. I'd love to meet Connor and for you to meet Gav! I know, I hope we get to meet each other's horses someday! I'm pretty sure I met Gav, but I don't really remember him. It would have been just a couple months before you bought him when I was first meeting Lisa, spring of 2010. Yes, they are similar in some ways but very different in others! my little sister is also taller than me by a good 3 inches! She started out riding with me and had no issues, she just didn't stick with it. 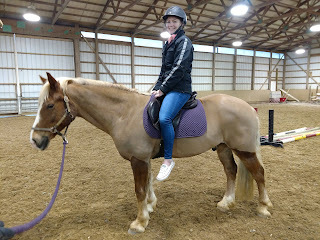 Glad Connor was a good sport - when I had my pony she was always golden for pony rides, it was when you /thought/ you could ride (cough, me lol) that she would decide to test that. Isn't that interesting? I've found it interesting that most broodmares first baby is their smallest too. Wonder if there's something to that. Yeah, Connor is not one to sneakily take advantage of someone like that. He wants a leader, not to pull a fast one! 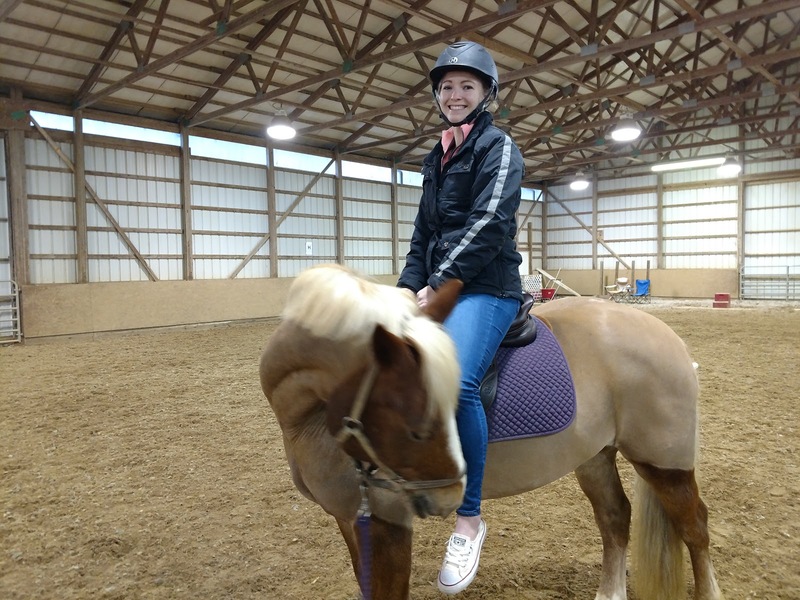 Its always hard to give pony rides on my 16.2 TB (due to size), but when someone rolls around that doesn't find his size *too* intimidating, he is actually pretty good throwing someone up there. 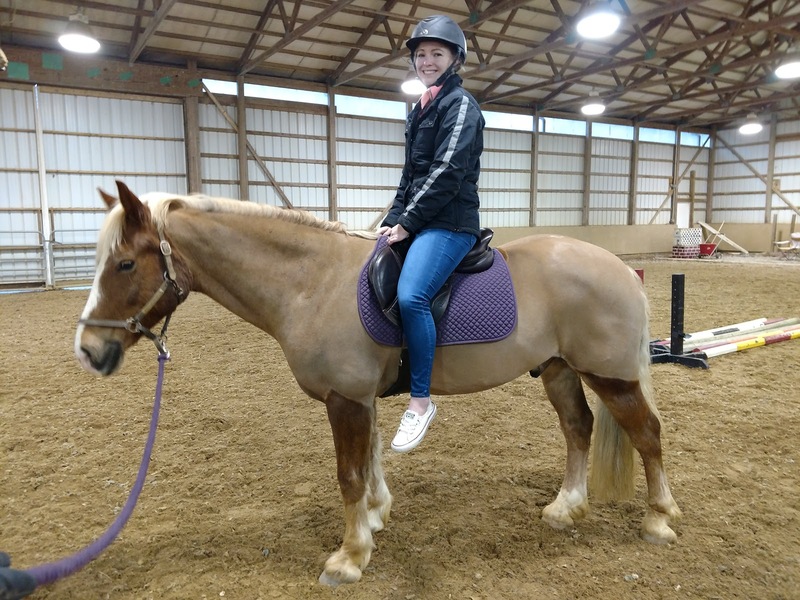 Charmer actually does way better for pony rides with complete newbies than he does for real rides with capable riders. He likes the predictability of having one rider, but is fine with giving someone a nice w/t ride in hand when they don't know anything. I wanna Connor pony ride! Its funny how they act with others on them. I am thankful Holly was always a total sweatheart when Liam rode in the saddle with me, she would put her desire to spook on pause. Prob helped he rode in front of me and inhibited shoulder movement lol. I have 3 sisters - two of us ride and two don't. Neither parents rode, but one of my grandparents had farm horses. ETA - 3 of us are the same height (5'2"), but the youngest is about 5" taller! !